The more details you can provide — the better. Each services is customised and priced to your needs. You even have the ability to upload photos. Click on an image below to continue. Our commercial high-pressure jet washing services cover the cleaning of exterior surfaces from car parks, patios, communal areas, walls, windows, signs and more. The specialised pressure washing systems we use can be adjusted to enable us to clean almost any surface, including the removal of graffiti and chewing gum. High Power Jet Wash cleaning doesn’t require any chemicals, which means it is an extremely eco-friendly way of cleaning. 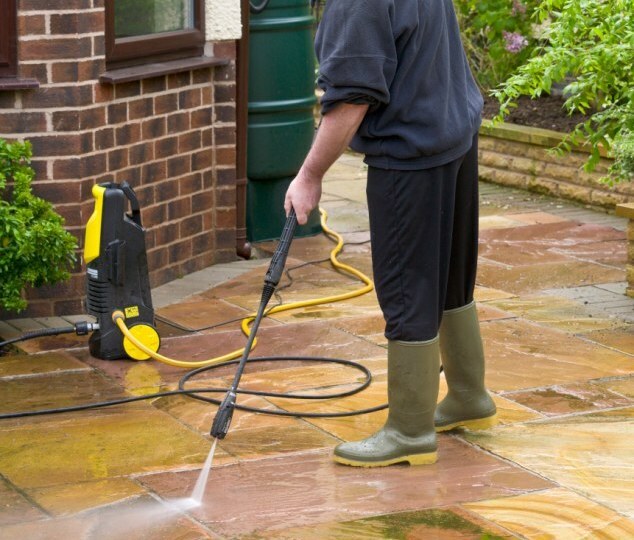 When carrying out these commercial high-pressure jet washing services we ensure no damage to the property or surfaces. We take care of the surrounding area, using warning signs and following our stringent health and safety procedures. Mad cleaning can provide industrial high-pressure washing services and jet wash cleaning. Contact us today!